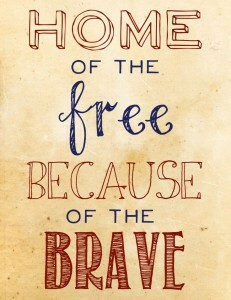 Showing your patriotism can be as simple and subtle as festive room decor with printable wall hangings. 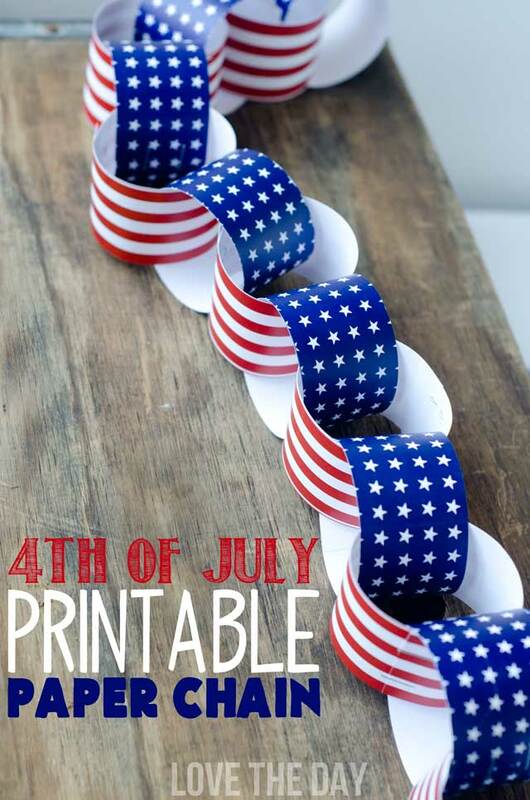 You can also help your kids get in to the spirit of the season with some fun activity pages or a red, white and blue paper chain to count down long summer days. Print stickers or buttons for family, friends or co-workers. Or you can even print small party favors including these patriotic pinwheels. If you are planning the traditional backyard cookout, here are a few ideas that will make your party especially memorable. Decorate cupcakes, party favor bags or even ice cream cones. Having an especially large party? Print some name tags. You can also help your guests reduce waste (and reduce your clean-up time) by labeling their cups with these fun printouts. 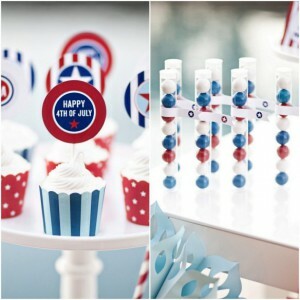 Make banners and boxes to decorate your party space, and use these labels anywhere for a touch more red, white and blue. 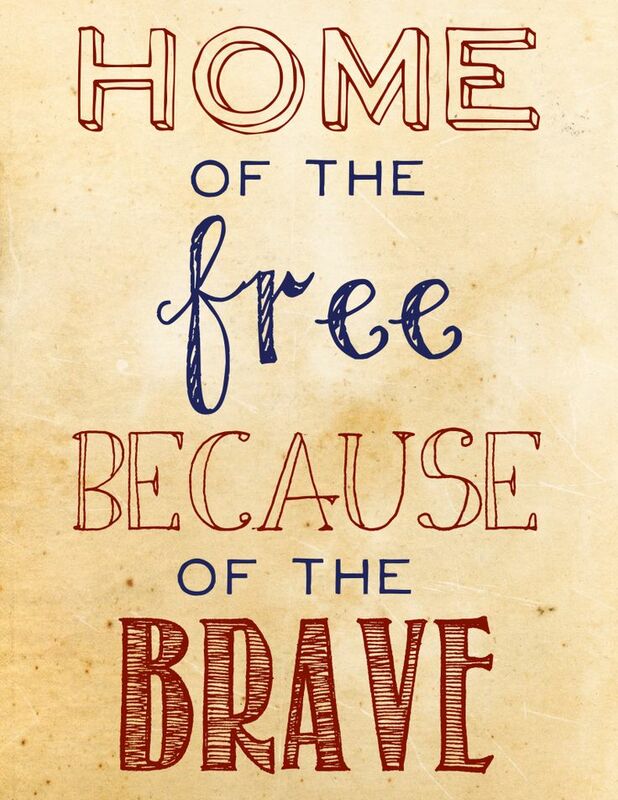 Most importantly, don’t let the celebration slip by without taking the time to thank those in the service for their commitment and sacrifice. 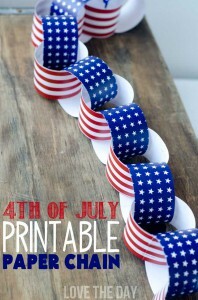 Check out all of our 4th of July printable craft ideas here. Celebrate safely, and let the barbequing (and crafting) begin!